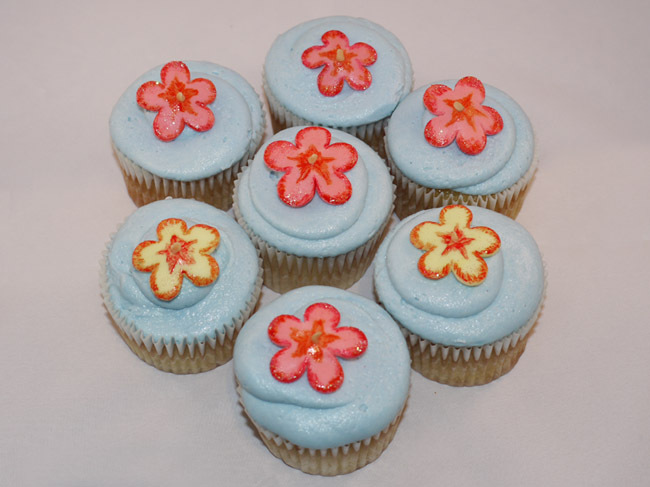 Another Lily in the Labyrinth / Carousel Cupcakes collaboration (we're quite the team now!) 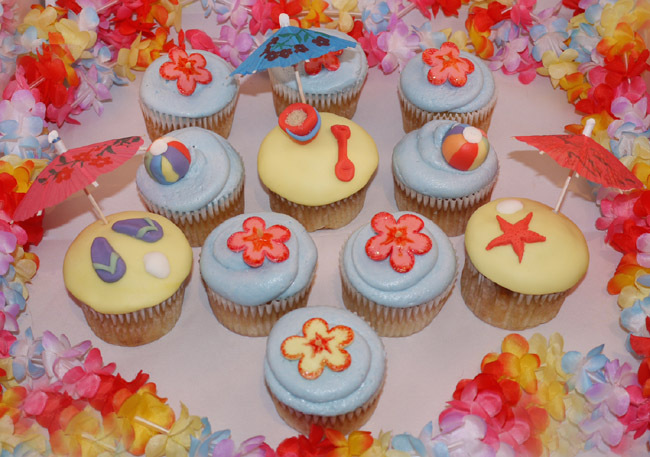 are these Tropical Cupcakes! As Sam is just back from her Caribbean honeymoon and I spent two weeks in Cuba last month, we thought it would be fun to harness the tropical vibes of our summers and create these colourful cakes. And what's best, the cakes are pineapple and rum flavour! 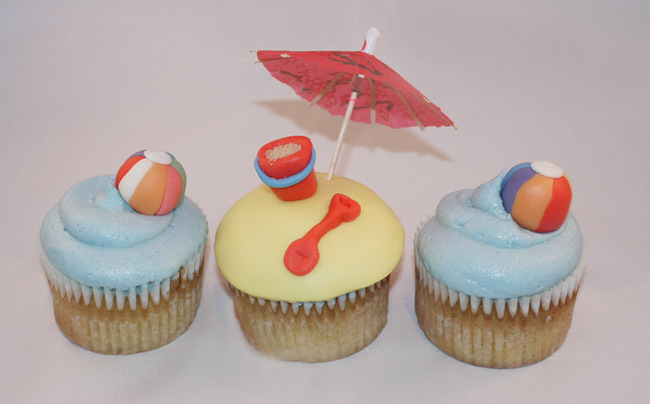 Cocktail cupcakes? Genius! Sam did an amazing job with the baking - the cakes are so light and moist! 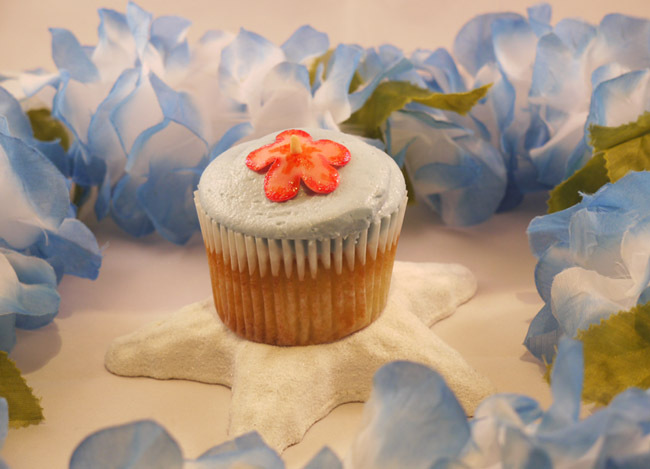 The blue frosting in the signature Carousel Cupcake swirl is also really light and we used sugar craft, cocktail umbrellas and special edible paints and glitters to decorate them with hibiscus flowers, beach balls, buckets and spades, flip flops and shells . 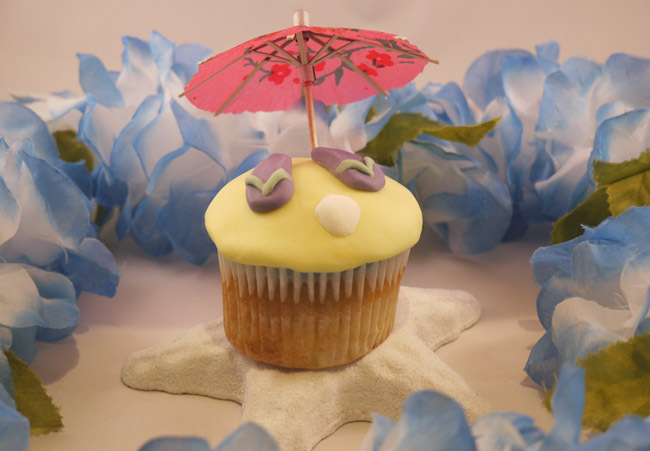 . .
Let Lily Know: What do you think of our Tropical Cocktail Cupcakes? NOM! Cocktail cupcakes sounds like a great idea - I wonder what else you could use instead of rum...?